As the outside temperatures get cooler and cooler, my craving for all things comfort-food related increases. One food that makes its way into my diet this time of year is homemade bread. Homemade bread goes perfectly with a bowl of steaming soup, another food that takes its place on my must-have comfort food list during the colder months of the year. This post contains affiliate links. If you make a purchase using one of these links I will receive compensation that helps pay for the costs to maintain this blog. Portion control can be an issue when making homemade bread. After all, who can resist fresh bread? Once you start cutting into the fresh loaf, all self-control seems to float off into the wind. One way I try to place limits on my bread eating is to make rolls rather than loaves of bread. For some reason, once I cut into a loaf of bread I feel like the whole thing needs to be eaten. It is easier to store leftover rolls and a few minutes in the oven will make a day-old roll taste yummy. 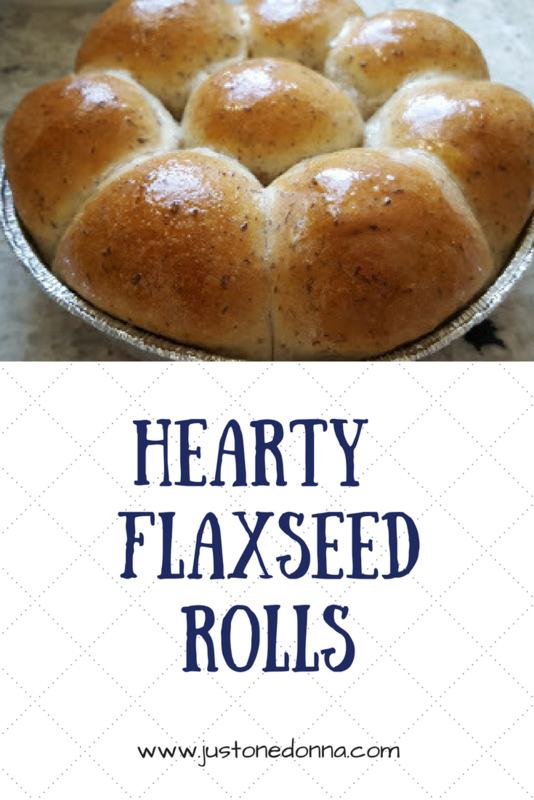 This bread machine recipe adds flaxseed meal to the rolls, giving them a heartier texture and a bit of a nutty flavor. That makes them the perfect accompaniment to hearty soups. Flaxseed also brings some health-enhancing qualities to the rolls through the additional fiber, antioxidants called lignans, and a plant version of omega-3 called alpha-linolenic acid. The quarter cup of ground flaxseed in this recipe adds eight grams of fiber or 1 gram per roll. 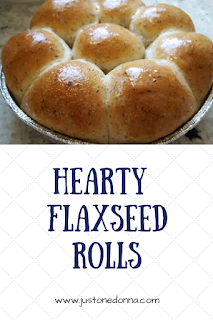 Each of these hearty rolls will give you the same number of lignans you would get from eating seven and a half cups of broccoli! You will also get 450 milligrams of omega-3 per roll. All of this makes me feel just the tiniest bit less guilty about eating bread with my soup! Measure the ingredients into the pan of your bread machine in the order listed. Select the dough setting of your machine. Start the machine. 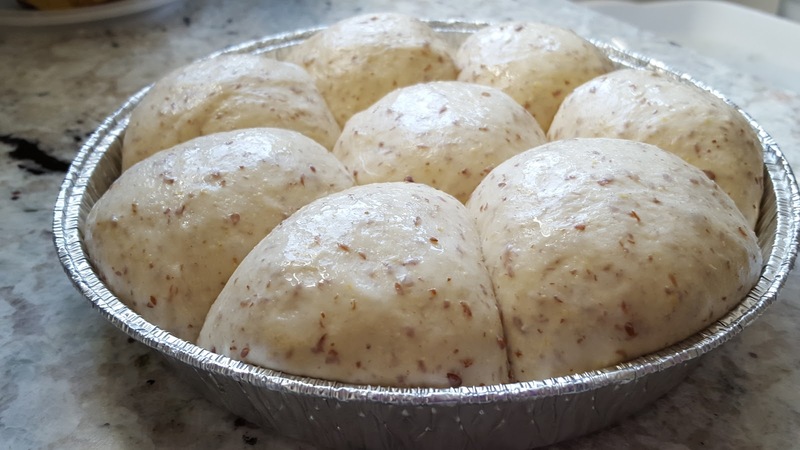 When the dough is ready, oil your hands and form the dough into eight balls. Place them in an 8" round greased baking pan. As an aside, you can make these rolls without a bread machine. 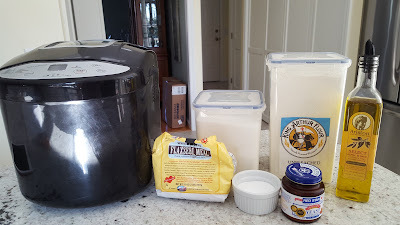 Mix the ingredients together by hand or with a mixer. Turn the dough onto a lightly floured surface and knead for about five minutes. Add a little extra flour if the dough feels too wet, but try not to add too much. Keep kneading until the dough is soft and smooth. Place the dough into a lightly oiled bowl, covered with plastic wrap. Let rise until double in size, about 60-90 minutes. Then, form the rolls and continue from there. Spray a piece of plastic wrap with cooking spray and cover the pan. Place the pan in a warm place to rise for about 30 minutes or until the rolls have doubled in size. They'll be touching each other. 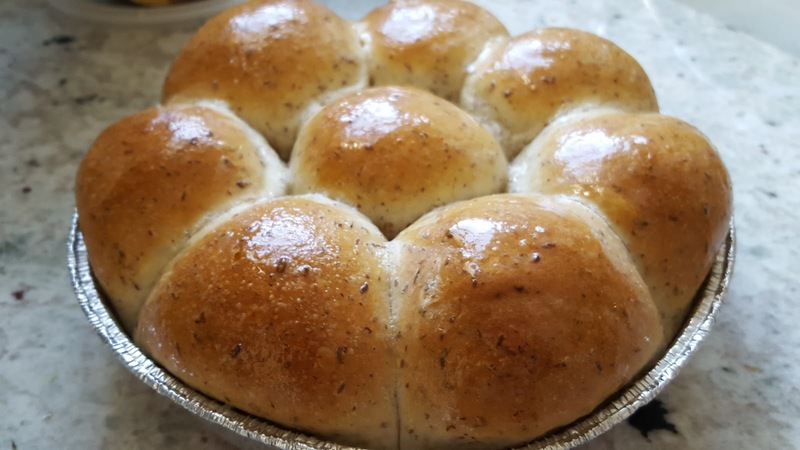 Bake the rolls is a pre-heated 350-degree oven for 15-20 minutes, until the rolls are browned and crusty. Remove the pan from the oven and brush the tops of the rolls with melted butter. Cool in the pan for 10 minutes and then turn the rolls out onto a rack to completely cool. 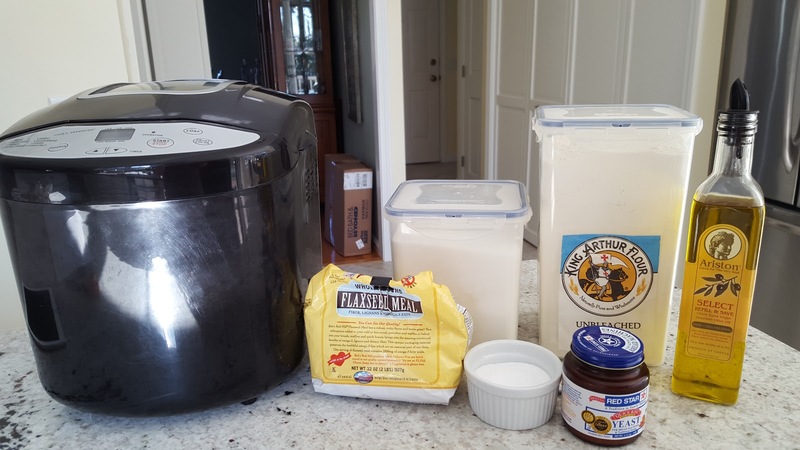 My Bread Machine: This is the bread machine I use and love. My mother has made these for years......they're fantastic!